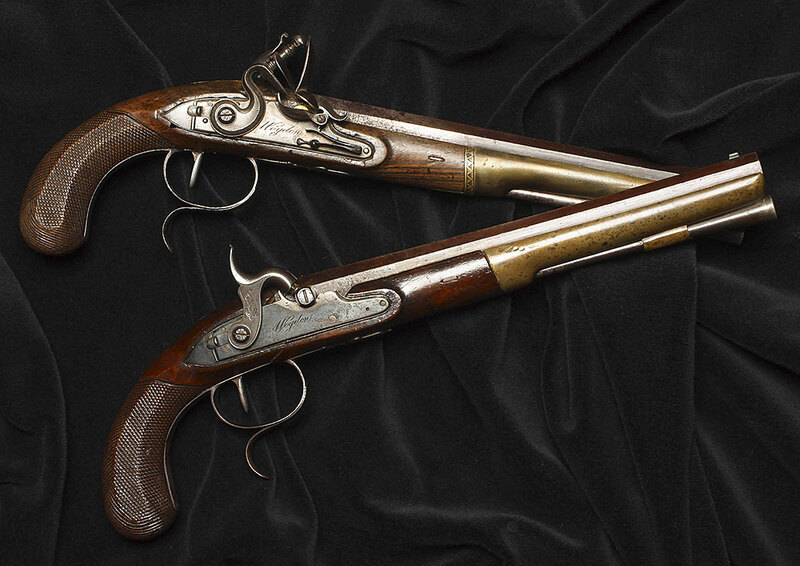 English-made flintlock smoothbore dueling pistols by Wogdon & Barton. Loan from JPMorgan Chase Corporate History Program. The exhibition will display the original dueling pistols used by Alexander Hamilton and Aaron Burr in the 1804 duel that resulted in Hamilton’s death. On loan to the museum from JPMorgan Chase & Co., this rare public showing represents the first time the pistols have been on public display in the Washington D.C. area. The pistols will be on display from May 25–September 16, 2018.